The Raspberry Pi Model B requires a micro USB power supply . 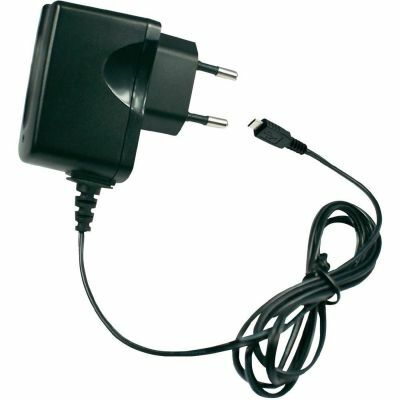 I selected this model: the HNP06-MicroUSB 6 Watt Power supply. This power supply has an output voltage of 5V and can support up to 1200mA which is enough for the Pi model B board.